Lisa Lavie vs Shontelle's Impossible? Make it Possible! I can feel that she has a powerful voice and this song perfectly fit her. This video was posted on Friday but within two days it already have 20,000k of views on YouTube. I kinda admire singers who have talents, record their videos and publish on Youtube, then make their song available on iTune online store. It is great that you don't need a big PR team to promote yourself as now you can do it all by yourself! Like DavidChoi himself one of the successful YouTube Singer. Isn't is great that you can make a living by just doing this~! I wish there are some good singer in Malaysia that saw this opportunity and try it too. All you have to do is sing a song that is famous + fit your voice + style at the same time. NameWee is talented but he always going through the harsh way. All the best for his current issue. Between, nothing is impossible. Just that you need to take the first step to achieve your dream and make it possible!! I've been step inside this full-time blogging career since April 2010 and September would be my 6th month. It is hard to start at first because you don't have your stable income anymore and everything you spent must be in double consideration. Luckily I met good people along the blogsphere and would definitely want to thanks Ms. Seow from LG that gave me an opportunity to be the guest blogger of LG Blog. 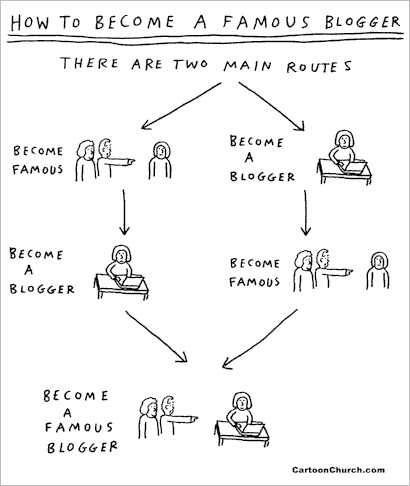 It somehow help me decided to try this new career - Fulltime Blogging. Trust me, it is not easy as you thought. Without a boss, nobody is controlling what you are doing as now you are working for yourself! Therefore you need to discipline yourself to make sure you do all the required task within limited time. The reason why I choose Fulltime Blogging instead of working as a lab assistant (for your information I am graduated with Bachelor Degree in Biotechnology, yes I am that old) is because I can see that Biotechnology is not that advance yet in Malaysia although there were idea of setting up a BioValley** or something like that. If you wanna be a researcher, must extend your study oversea which might cost you a bomb. If go other country, you will need to do Molecular Biology work which I don't really like because always need to deal with those carcinogenic stuff. Life is short but don't make it shorter. After all, the best job that a guy/girl want is the one that they have passion on it. If not, it won't stay long and there goes your future. Stagnant and will always be like that. I've been doing better day by day with many people giving me opportunities and feel glad that Online Advertising company like Nuffnang gave us bloggers chances to earn some side income or even money enough for a person to have a good living. I've been ask, " So you are a full-time blogger, can survive meh?" I would say it is hard at first but thankfully my passion keeps me going and thanks to family members that support my decision too. Remember, Rome Was Not Built In One Day. I am now just taking my first few steps and continue work harder to achieve my dream. You can do it too, just make sure your passion is always in! I'm sure you will be successful! keep up you great work! I was so hooked on to Lisa Lavie's rendition of Impossible. Personally I think she sang it better than Shontelle! Glad you like her song too! I know who are u and ur passion. I believe u will success one day. Or goes into politic win an election and then blog lol.